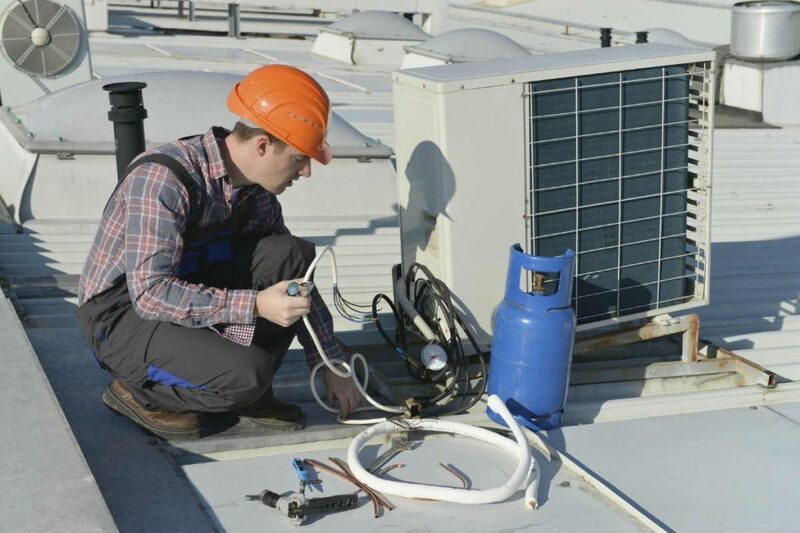 Whether you are replacing an older commercial HVAC unit, or adding equipment to a new construction, it is vital that the installation is done right and that the correct equipment is selected. This would typically require an engineer to evaluate the building location, use, and construction type before selecting any equipment to ensure the good comfort of occupants and long equipment lifespan. You have an existing HVAC unit that needs to be replaced, the common and possibly costly mistake is to replace that unit with the exact same one. Technology also advances rapidly in the commercial HVAC industry, and the type of unit that you previously had may not be a good fit. Other factors come into play when replacing the unit, such as renovations to the building, the amount of human activity that the rooms may get, the layout of the facility, etc. You want a certified commercial HVAC company you trust to do a full assessment of the building and to make good recommendations for unit(s) that match the facility’s needs. It can be an attractive proposition to only replace parts in a unit or part of a systems equipment (water towers, air handlers, etc.) as opposed to the entire commercial HVAC unit itself. This option should be looked at carefully, as the lifespan commercial HVAC equipment and the overall condition of the current equipment should have a big part of deciding if to replace parts in the unit or the unit itself. When replacing only part of a system you must make sure it is a perfect make with the remaining system and does not overload any other equipment as this could cause breakdowns due to increased wear and tear and possibly reduce the energy efficiency of the building. HVAC systems are put together strategically, in order to maximize performance and efficiency. Swapping out wrong components can be detrimental to overall performance. Modern commercial HVAC systems have electronic control panels that are very precise when it comes to setting the temperatures of a building and allow for a great deal of accuracy and control. This was not always the case and may not be the case with an antiquated commercial HVAC unit that needs to be replaced. This leads us into one of the most common problem areas of HVAC unit selection. Without taking new technology into account, oftentimes a larger capacity unit is selected. When this approach is taken, and an oversized HVAC unit is installed it can be very costly in terms of energy efficiency and the purchase of the unit itself. While most commercial HVAC systems are designed to last 15 to 20 years, that doesn’t mean without regular maintenance, typically noted in the equipment manufacture literature or unit manual. That means that the installation needs to be such that all components and elements of the system are easily accessible including control valves, relays, boards, fire dampers, etc… Water must be available for cleaning coils and the list goes on. If these aspects of maintenance are not taken into consideration during a new construction build this can increase the cost of maintenance programs. Or they can be added later to reduce the cost of HVAC equipment maintenance programs. HVAC maintenance can vary from monthly to quarterly depending on the type of equipment and environment it operates under. Maintenance will always extend the life of the commercial HVAC unit. When your facility is about to go through changes you want a service company that knows how your building operates. Some of the new systems are modular, thus making them more flexible for potential future renovations and changes to your building. This helps extend the life of the system and maximizes the potential for energy efficiency and reduced costs.